Details 2013 Mercedes-Benz B 250 Sport. New In Stock* Your lucky day! Do you want it all? 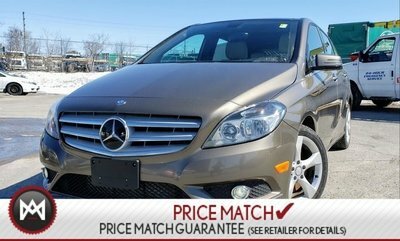 Well, with this fabulous Mercedes B250, you are going to get it** Safety equipment includes: ABS, Traction control, Curtain airbags, Passenger Airbag, Front fog/driving lights, Knee airbags - Driver, Daytime running lights, Dusk sensing headlights, Rear fog lights, Signal mirrors - Turn signal in mirrors...Other features include: Bluetooth, Power locks, Power windows, Auto-shift manual Transmission, Turbo, Air conditioning, Audio controls on steering wheel, Multi-function remote - Windows, Tilt and telescopic steering wheel, Power heated mirrors.